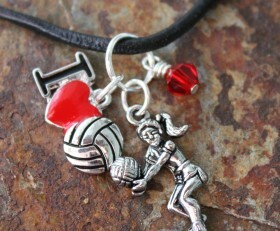 Perfect necklace for the volleyball lover. 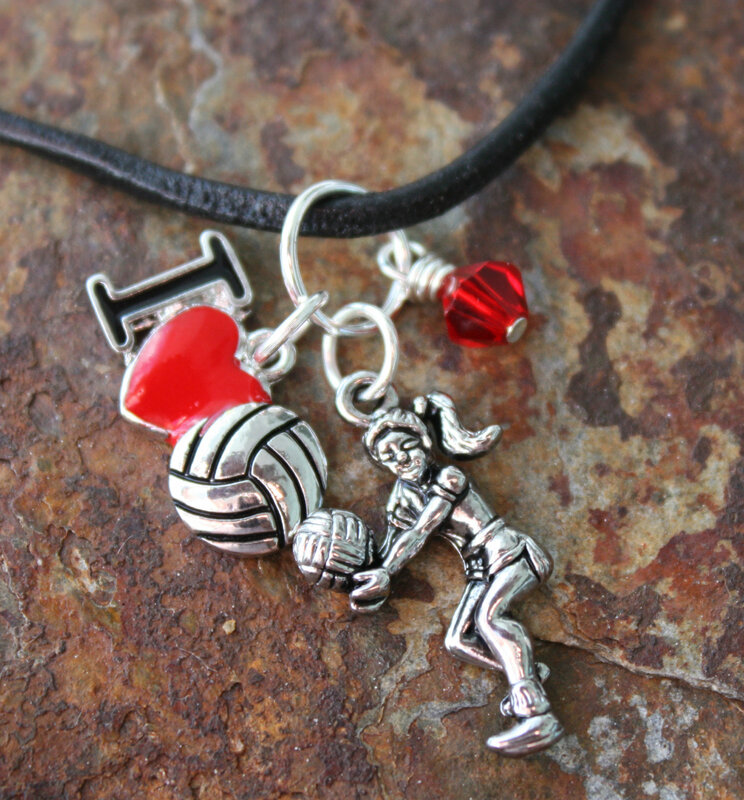 I Love Volleyball charm, female volleyball player and red Swarovski crystal on 18″ black leather chord. You can choose a different color crystal and chain when checking out. Personalize the necklace by adding a custom stamped charm with a person’s name or team name. Click here to order custom stamped charm.